Is it a case of urban versus rural? That's the question some are asking after Ottawa Paramedics changed how eight rural paramedic posts are staffed. Starting next week, Ottawa Paramedics previously assigned to eight rural stations - Navan, Manotick, Cumberland, Riddell, Kinburn, Richmond, Osgoode and Metcalfe - will be required to start and end their shifts at headquarters instead of at rural bases. A memo sent to staff says at least 24 staff members will have their shifts changed and anyone who uses those bases on a regular basis will have to clean out their lockers. The service says the change is a direct response to an arbitration award with the union over the 30-minute end of shift policy. Paramedics say the realignment of resources will help the service better balance heavy call volumes in the core with a desire and requirement to service rural areas. “The arbitration award directed the Ottawa Paramedic Service to have all Paramedic Units start and end their respective shifts at the Ottawa Paramedic Service Headquarters on Don Reid Drive," wrote Deputy Chief Peter Kelly, Ottawa Paramedic Services, in a statement." This is not a reduction in coverage, nor is there a change to the current deployment plan....The dynamic deployment model allows the Ottawa Paramedic Service to properly locate resources for the greatest benefit." Under the new plan, all paramedics will start and end their shift at headquarters off Conroy and Walkley Roads. They will then be assigned to a location based on internal statistics, estimated call volumes based on historical data and areas of high demand or to "priority posts." Councilor Eli El-Chantiry says he's concerned the move will mean residents in his West-Carleton Ward will be underserved. "I am concerned when we say we need to focus resources on the urban to achieve our goal, yet in the rural area we are going, we might see longer response times," El-Chantiry said. "That is something we need to keep an eye on." The change comes on the heels of a 2016 annual report that shows call volumes in the city of Ottawa have increased by about 14 per cent over the last five years. 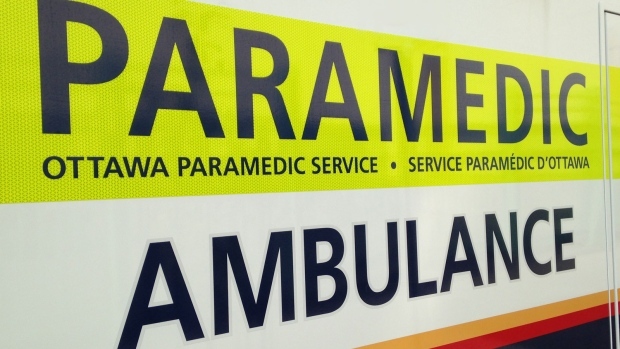 The report, which goes before city council next weeks, also states that Ottawa Paramedics have missed the provincial benchmark for response times to life-threatening for the second year in a row. Renfrew Paramedic Chief Mike Nolan says he is concerned paramedics will get stuck dealing to calls in the core, putting the strain on neighboring paramedic services. "I hope this will allow them to better utilize resources and not falsley rely upon their neighbours to serve the community," he said. The change will be implemented slowly over the next week, starting with bases in Kinburn and Cumberland.